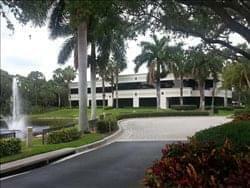 Find My Workspace lists over 95% of the executive office suites market in Bonita Springs. Simply click Request Quote to check pricing for one office, or Add to Basket for multiple offices. This center consists of a luxurious two-story office building that depicts the laid back, warm feeling of the West Coast. This 27,000 sq. ft. office complex is home to almost 100 office suites ranging in size from 85 to 650 sq. ft. It boasts a fitness center and a copy and fax center. To obtain information for your selected Florida Executive Office Suites, please tick the "Add to basket" box for each office you prefer and complete the form below. We will then send a detailed report via email.